Very comfortable.submitted by Hisashi S. - Aug 23, 2017 |Recommended: YesI will renew a lease agreement. response from property - Sep 22, 2017 Hello- We are so happy to hear you are comfortable here at Hancock Square and will be staying with us. Your feedback means the word to us. Thank you, Crystal G.
The property is in a nice location, very clean, and welcomingsubmitted by Ashley G. - Aug 19, 2017 |Recommended: YesI have only lived here for about a week and it has been very lovely so far. The apartment complex has a welcoming staff that is happy to help with any issues. The best part is the location. There is so much to see and do here, but also close to the metra so if you want to travel you can quite easily. Only issue is the difficulty of moving in. response from property - Sep 22, 2017 Hello Ashley We are so happy to hear you are loving where you live. We are here to make sure that you have the best possible living experience. Please let us know if you ever need any assistance. Thank you, Crystal G.
Great location. Studio floorplans are exceptional.submitted by Marcia S. - Jul 31, 2017 |Recommended: YesExcellent access to train and downtown Arlington Heights. All staff,including service and maintenance personnel, are exceptional and provide timely response. ASK if REMODEL or other construction is schedule as they may not advise you of same prior to signing lease. I had to endure five months of noise and inconvenience almost immediately after signing lease, which they failed to disclose at signing. The rent is too high for the product. Were you to remove the above interference with the quiet and peaceful enjoyment of the rental, it's a great property and location. response from property - Sep 22, 2017 Golfo- Thank you so much for the wonderful review. We are so happy to hear that you are having a wonderful experience. Your feedback means the world to us and this was so wonderful to read! Thank you, Crystal G.
response from property - Sep 22, 2017 Thank you so much for the 5-Star Review. We are happy to hear that Maintenance has provided you with wonderful service. Thank you, Crystal G.
response from property - Sep 22, 2017 Stephen- Thank you so much for the 5 Star Review. We are happy to hear you are having a positive living experience and will do all we can to make sure that continues. Thank you, Crystal G.
In general comfortable to livesubmitted by Masazumi Y. - Jul 07, 2017 |Recommended: YesThis would be a good choice. All that's missing for me is a garbage disposal in the sink. response from property - Sep 22, 2017 Hello- Thank you so much for taking the time to complete this review. While we do not have garbage disposals we are doing some great improvements to the community in the next few weeks. We hope you will love them! Thank you, Crystal G.
Wonderful place to live submitted by Meghan W. - Jul 02, 2017 |Recommended: YesI have lived in apartments in New York City and Los Angeles, and Hancock Square has exceeded my expectations. I love living in this community. response from property - Sep 22, 2017 Hello- Thank you for the wonderful review. We are so happy you are loving where you live! Thank you, Crystal G.
response from property - Sep 22, 2017 Hello- What a fab review! Thank you so much!! We love that you are loving where you live! Thank you, Crystal G.
The property is in great shape and people are nicesubmitted by John J. - Jun 30, 2017 |Recommended: Yesthe building amenities are ideal, building is in good shape for its age. close to everything you need. response from property - Sep 22, 2017 Hello- Thank you so much for the 5-Star Review. It sounds like you are having a wonderful experience all around and for that we couldn't be more thankful. 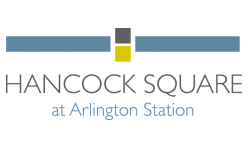 Thank you, Crystal G.
Very convenient place near Arlington Heights downtownsubmitted by Shinsuke N. - Jun 14, 2017 |Recommended: YesVery convenient place near Arlington Heights downtown. Apartment is clean and maintained. response from property - Sep 22, 2017 Hello- Thank you so much for the wonderful review. We are happy to hear you are enjoying your community. Thank you, Crystal G.
A convenient place with a friendly staffsubmitted by Prakash P. - May 31, 2017 |Recommended: YesConveniently located, quiet apartment complex with all good facilities. Management office has a great friendly staff and you will see a lot of events functions that occur. Had to move out due to personal constraints but the 2 years stay was near perfect. Building maintenance is prompt and they keep the apartment complex clean all the time. response from property - May 31, 2017 Kelly- So happy to hear you love where you live!! Great experience.submitted by Nicholas H. - May 03, 2017 |Recommended: YesThe staff here are very welcoming and always here to accommodate their residents as best as they can. I love how they bring the community closer with events and even bringing in food trucks All my maintenance needs were done in a timely manner. Glad that I chose to stay here at Hancock Square. response from property - May 30, 2017 Thank you so much for the 5-star review! We are so glad you feel you are getting great service. Thank you, Crystal G.